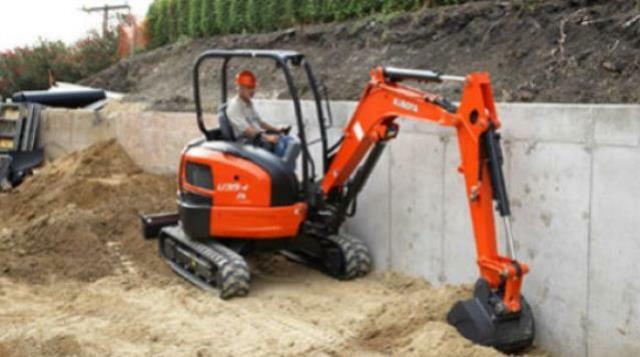 Hand controls are changeable between Backhoe or Excavator controls. - Over Front, Blade Down: 4,020 lbs. Lift Cap. - Over Side: 2,120 lbs. Lift Cap. Maximum Bucket Scratch Height: = 16' 1". Maximum Depth @ 8' of Level bottom: = 8' 6"
Maximum Dump Height: = 11' 9". Diesel Fuel Tank Capacity: = 10 Gallons. 16", 24" wide buckets available. Trailers and/or Delivery are available. 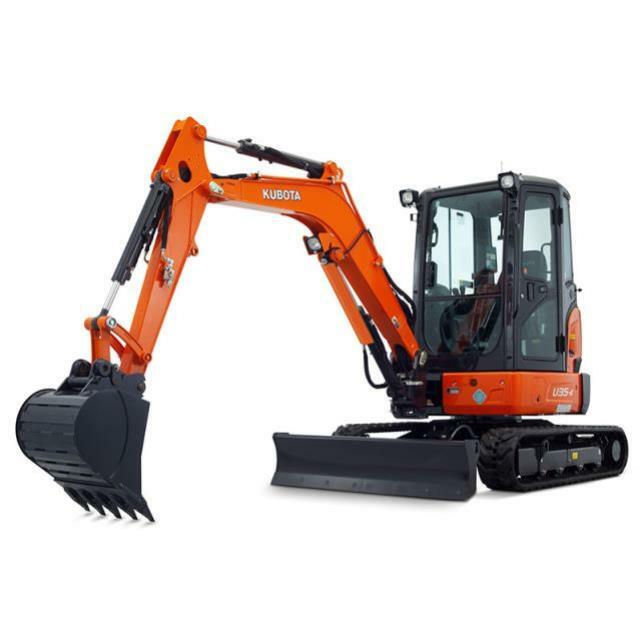 * Please call us with any questions about our excavator nh 35 series rentals in Oak Grove MO, Blue Springs MO, Independence MO, Lexington MO, Odessa MO, Independence MO and Western Missouri.